Splendour in the Grass MUD! The Pros and Cons of a Splendour Roadtrip! 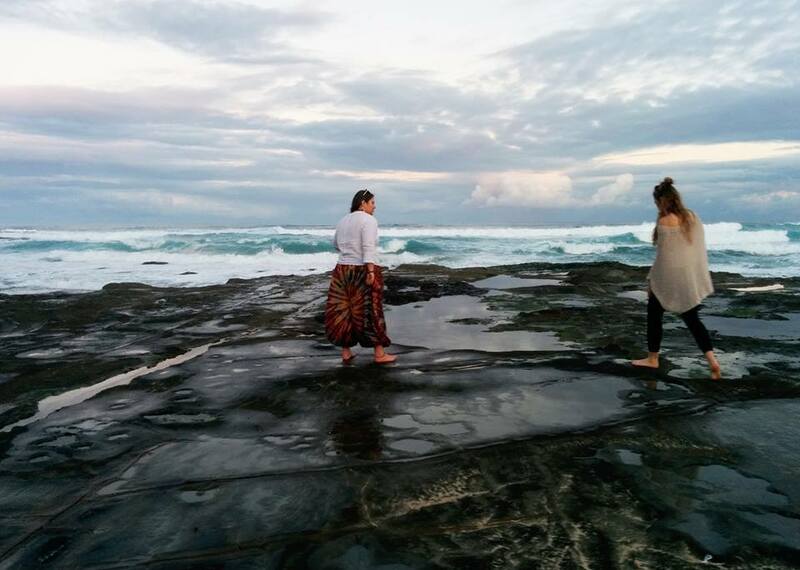 Picture this: three broke uni students, a very unpredictable Ford Territory, and a 5000km trek from Adelaide to Surfers Paradise…and back. With barely any roadtrip experience, a bank account that was experiencing a very tough drought and two of my best friends, I set off on the trip of a life time. I was about to tick an item off my bucket list! 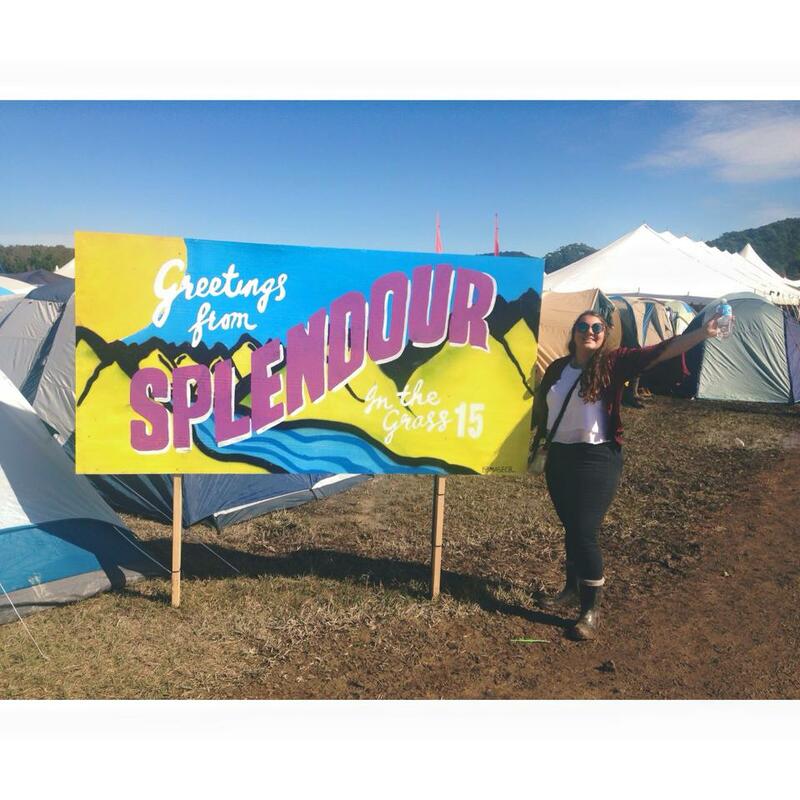 I was going to Byron Bay’s Splendour in the Grass (SITG)! Visiting Sydney, the Gold Coast and of course the ‘lovely’ Hay Plains along the way, I knew I was in for one heck of a trip. Upon leaving, nerves rattled me but the excitement of adventure was paramount. A break from uni, live music and beautiful beaches did not sound bad. But what if my car broke down? What if I fought with my friends? What if my already suffering bank account couldn’t hack it anymore! Regardless of my fears, I jumped into my old ‘soccer mum’ car and strapped myself in for what would be one long (like really longggg), tiring and eventful trip. A trip that was not what I expected. A trip that involved sleeping in mud, getting pulled over by the police, living on rice cakes and peanut butter and running out of money. But ultimately, despite the torrential rain, sleepiness and lack of funds, was one of the best two weeks of my life. With a mixture of fun and challenging times, I have been asking myself whether I would make the journey to SITG in 2016? Was the money worth it? Should I fly ‘if’ there’s a next time? Did the positives outweigh the negatives? There’s only one way to find out… a pros and cons list! Driving through the HAY PLAINS! Oh my god. It is called the Hay PLAIN’s for a reason. Imagine a long, straight, never-ending road. Good luck playing eye spy on this dead patch of Aus. Cabin Fever. One stretch of our trip involved 14 hours of sitting in the car. A car with barely any room to stretch out, some off food smells and a constantly rattling back door. Testing the friendship boundaries. While we never fought (thank goodness) being in each other’s company for 24 hours a day for two whole weeks can have its challenges. Tension over what band to see or disagreements over how to pack the car did exist. MUD! 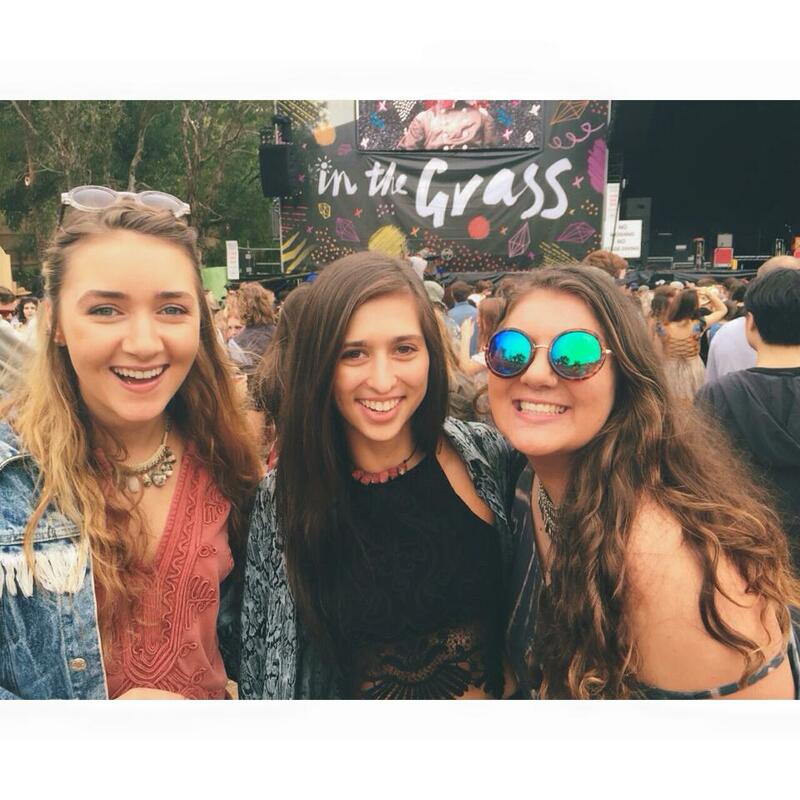 Splendour in the Grass? What grass? 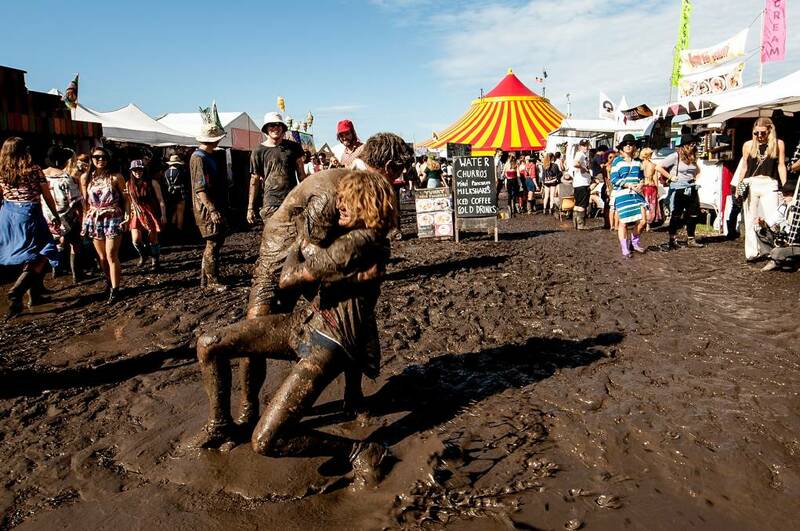 SITG was a giant mudpit. Walking 100m took about 10 minutes, my nails were a nice mud colour and was that poo or mud smothered on the toilet seat? Gumboots. 4 months down the track and I STILL have scars from where my gumboots rubbed. The appearance of gumboots alone was hurtful (months of outfit planning wasted! ), but pair that with a constant stinging pain and you will never want to wear gummies again. Rain, Humidity & Camping. Talk about ‘in-tents’! Try looking human when you are covered in mud, are sweating like you’ve just run a marathon and showers are extremely limited. Oh, and not to mention pitching a tent ankle deep mud, right next to the footpath turned fast flowing river. Home time. You’ve survived SITG. You are exhausted and broke and you have to now make a 20+ hour trek home. Except this time, at the end of the drive isn’t the festival you’ve dreamt of going to for years, instead it’s work, uni and responsibilities. Right, so now I have probably put you off road-trips and SITG for life! BUT please read on, this might change your mind. Site seeing. Driving means you get to visit some of the most beautiful places Australia has to offer. From the Sydney Harbour Bridge to the beaches of the Gold Coast, we got to see some incredible sites along the way (and they make for a cool insta post too, of course)! Meeting people. Our SITG neighbours not only provided good conversation, but even helped us pitch our tent, even though it was 11pm and raining. We met people from all around the world, whether it was on a tour boat in Sydney or in the mosh pit of SITG, we made friends with some incredible characters. Once in a life time experiences. 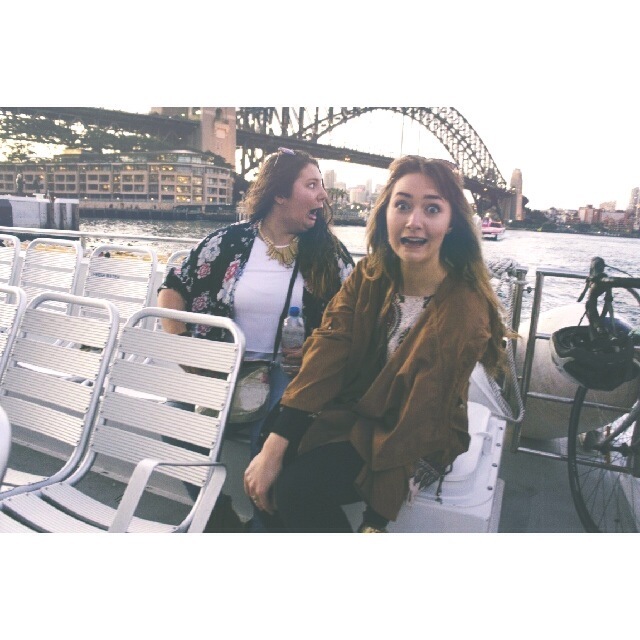 For example, through connections we managed to score free rides on Sydney’s harbour boats. 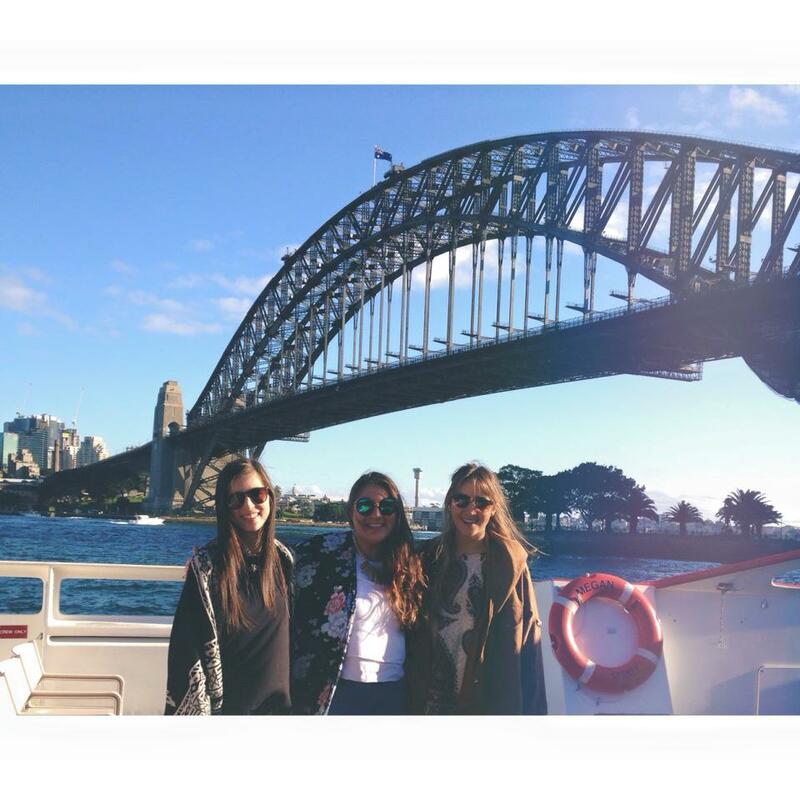 But it gets better, we even got to DRIVE the boat from Circular Quay to Manly! Live music. What is better than seeing your favourite artists live? Dancing with like-minded individuals and seeing famous musicians in the flesh is an experience like no other! Try wiping the smile off your face while Florence and the Machine serenades the crowd. Becoming closer with your best mates. 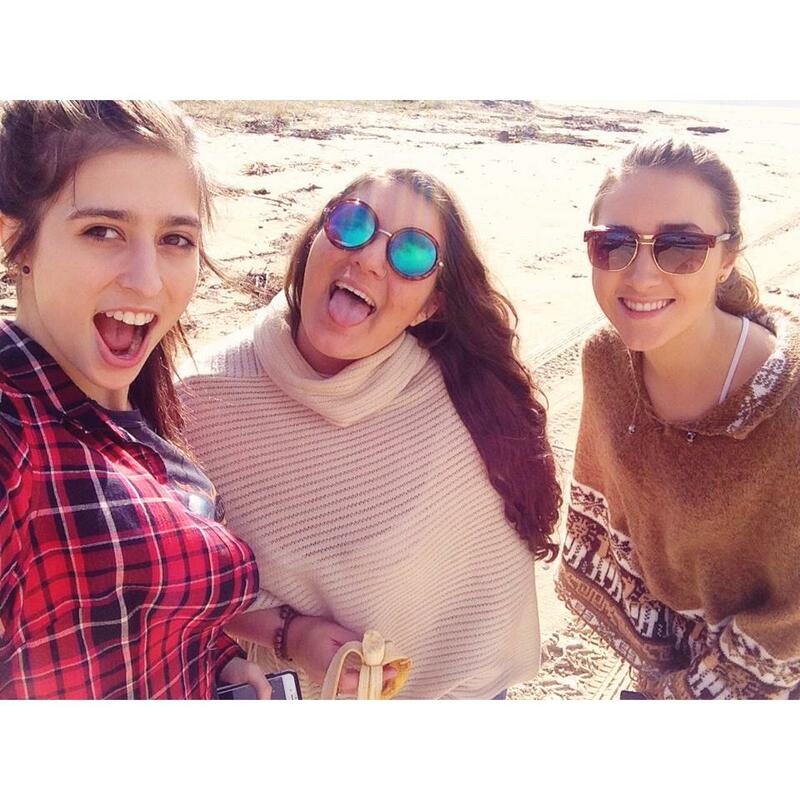 I didn’t think it was possible, but the trip brought me and my two fab friends even closer together. we learnt about each others strengths and weaknesses, experienced new and exciting things and developed a real respect for each other. You know they are keepers when they see you looking your ugliest at 5am and you are in a grumpy mood and they still love you! 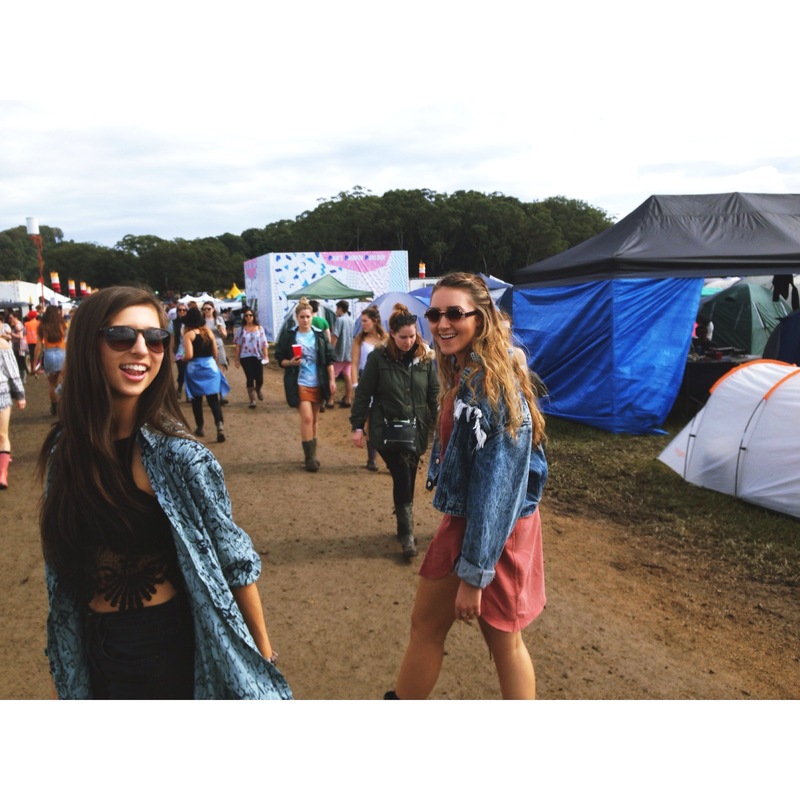 Rhi, Jem and Mel take on SITG! Road-trip soundtrack! We played everything in our car. Red Hot Chilli Peppers, Beyoncé, Courtney Barnett and everything in between all made it to our trip tunes list. Nothing is more fun than having a sing-along to a 2000’s classic while driving around Australia! Doing Life, double chin and all! The scary things. Believe it or not, some of the more challenging things became the funniest. Getting pulled over by Police was not on our itinerary, and getting out of the car wearing socks and thongs, green pants, a tie dyed top and a head of braids is not the look you want to have when it happens. Lucky for us, we hadn’t done anything wrong and were sent on our merry way! This is a memory that makes us laugh still! Being able to say “we did it!”. Before the trip, we had many who doubted us. Three inexperienced girls driving to QLD? But we did it. We survived SITG and came home smiling! Nothing feels better than proving the haters wrong! Amirite? Festival Antics. There is more to SITG than just music. We did burlesque dance lessons, watched acrobatics, shopped until we dropped and soaked up the sounds, smells and sites. MUD! This made my cons list, but it definitely wasn’t all bad. 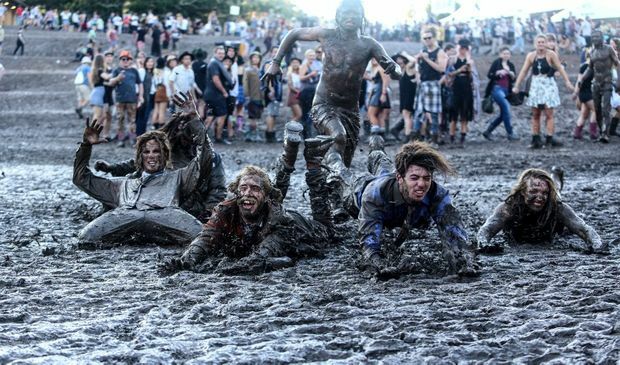 We saw the mud hills used as slides (watch the vid below), we danced around in the mud to the likes of the Dune Rats and San Cisco and some even decided to take the term mud bath very literally. 11. Learning about yourself. I learnt that music can turn a grumpy Jemah into a very happy one really quickly. I learnt that I have great friends. I learnt that I can budget my money. I learnt that I can be independent and ultimately I learnt that I am very blessed with the life I have. 12. The limit does not exist! No I’m not talking about mean girls, I mean that the pros for SITG is LONGGG. I literally can’t list them all because there would be too many to list! Just trust me when I say, the SITG road-trip was a positive one! 42 Wallaby…you know the rest! Amongst the downpour, chaos and tiredness, SITG was truly a magical experience. The sites, the people and the music were inspiring. I have never felt so tired, but I have also never felt so alive. Yes, SITG was not what I imagined. But would I change a thing? No way. I loved every muddy moment. I loved that driving allowed us to see our beautiful country. I loved that I got to spend time with my amazing friends. I love that I saw my favourite musicians live. I loved the splendour vibe. I loved that even at midnight, tired and hungry, we still boogied as hard as we could in the seats of my car and lived truly in the moment. Would I go back? YES YES YES! Maybe I would pack some comfy shoes and actually check the weather forecast but yes! And I think you should too! SITG gets the tick of approval from me! ← Thrift Shop Bar Turns One!